Enjoy our Old-World-style wines carefully crafted by our Owner/Winegrower. We offer rich, dry reds and crisp, dry whites. Our intense focus in the vineyard is what makes our wine great. We’re a true Virginia farm winery: we grow it, make it, sell it, and drink it! Here you’ll find a casual, family-like atmosphere and great customer service. Let us pour your new favorite glass. 8 Chains North is a boutique Loudoun County winery located just 8 miles west of Leesburg, Virginia. The winery includes an inviting Tasting Room, production, and a beautiful private event space perfect for weddings—all with stunning vineyard views. Because we are one of the few wineries in Northern Virginia where the owner is also the grower and winemaker, our focus is in the vineyard, where great wines are made. This philosophy is evident in our handcrafted Old-World-style wines. Enjoy the fruits of our labor in every glass. Get all the info you’ll need to plan your visit to our Loudoun County winery, including hours, directions, tasting options, prices, and policies. You can expect a casual, friendly, and informative tasting experience at 8 Chains North. We look forward to welcoming you soon. We are pleased to be a dog-friendly winery and welcome your well-behaved four-legged family members. Leashed dogs are welcome in the Tasting Room. In addition, our off-leash dog park is fully fenced, has tables, shade sails, a dog waste station, and plenty of room for pups to run and frolic. Planning a group tasting, large gathering, private party or event? We’d love to have you. We take large groups and tours, and offer space to rent for your special occasion or meetup. We aim to give your group the best experience possible, therefore, we require reservations for eight or more people. 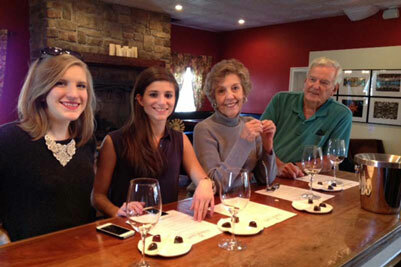 "This was a great winery and I absolutely loved the chocolate pairings! As someone that doesn’t drink white wine, their Loco Vino changed my mind. Very friendly staff, great atmosphere, will definitely be back!" "We brought along our black lab and the staff and people visiting the winery were so accommodating. They made sure my husband and I and our dog were comfortable. Our dog had the best time and the wines were fantastic too!" "The best of three vineyards we visited on this trip. All were good but the combination of the wine, the view and the general atmosphere made 8 Chains North the best. We bought several bottles of wine." "I am so happy I had my wedding at 8 Chains North. I've been almost all of the wineries in northern Virginia…and this place was my first thought when selecting a venue…It can be rustic or romantic or elegant...Also the staff are great. They are helpful and accommodating. It was a perfect day." 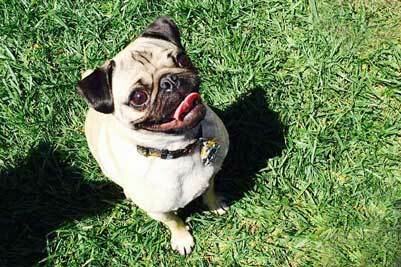 "One of my favorite Wineries and certainly the most dog friendly. Great wine too!" 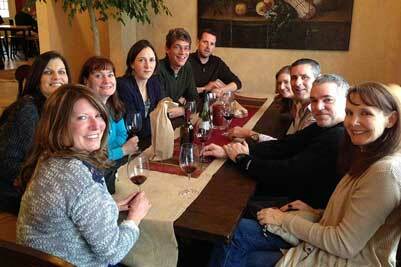 "Great wine and staff! It is always a great experience at 8CN." "What’s not love -- great wine at good prices...with a friendly atmosphere. Wine club events take advantage of the chandeliered Compass Rose Room or the beautiful outdoor patio." 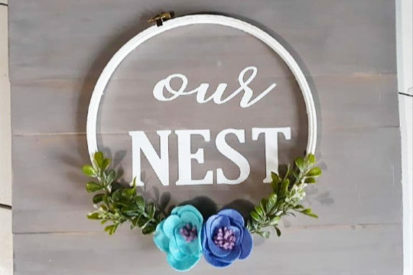 Grab your friends and create a rustic planter box or a pallet sign with a floral wreath. The Wine & Woodcrafts Workshop is led by The Aviary Girls. Both projects are handmade (by The Aviary Girls) from solid wood. They’ll have plenty of paint colors, finishes, and seasonal florals on hand. Get ready to take home a fresh, bright, Spring decor piece! 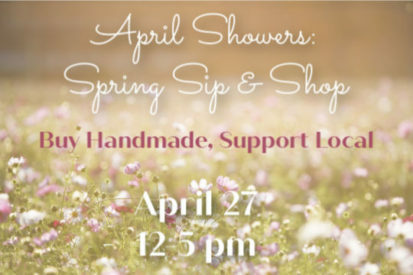 Join us for our first annual Spring Sip and Shop Pop Up event! 8 Chains North and ARTisans of Loudoun have teamed up to host a fun Spring-themed, one-day event showcasing many amazing and talented local artisans and crafters. Spruce up your home and wardrobe, or join one of our craft workshops. Succulents are all the rage right now. Beautiful and low maintenance, they make a stunning display in any number of planters. 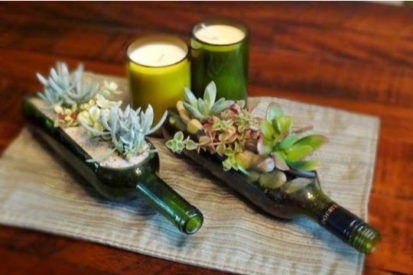 For this Sip & Succulents Workshop, you’ll plant a variety of succulents in a wine bottle! Plants, soil, decorative stones, and cut wine bottle are provided. We offer the most generous benefits in Loudoun County, including free tastings at every visit.